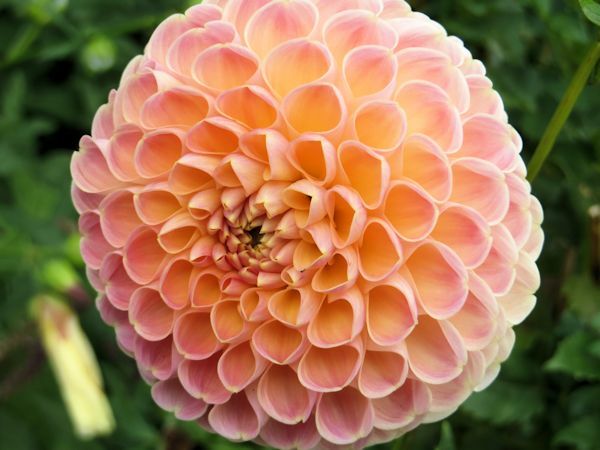 One of my favorite things to do since I have started garden blogging is to keep a monthly diary capturing the year as a whole, so that it would be possible to go back, re-visit and compare happenings in the landscape. The year of 2015 certainly did prove to be more unusual than those of the past with very erratic weather patterns and seasons out of sync like I have not experienced in a long time. After a very mild November and December of 2014, the first two weeks of 2015 proved to be bitter cold with temperatures plummeting into the single digits and chill factors below zero. On January 6th we got our first light dusting of snow (about an inch or two) which reoccurred on the 9th. 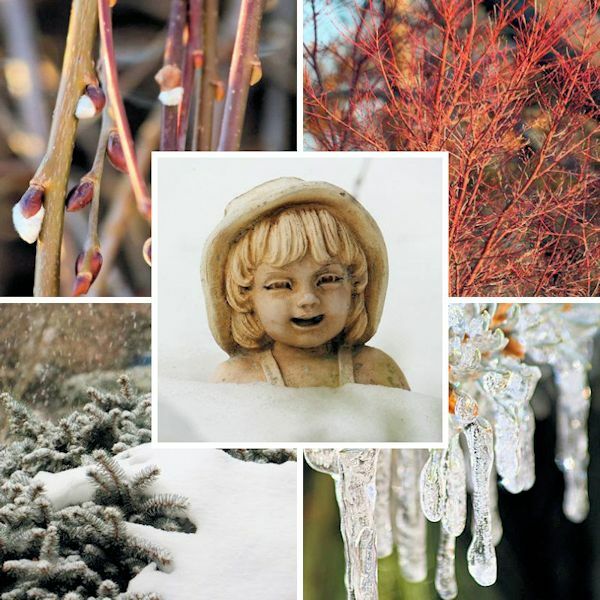 The year of 2015 came in fiercely, looking and feeling a lot more like winter. By mid-February several storms had passed and the late arriving winter conditions were in full swing. After Blizzard Juno on January 27th delivering 20 inches of snow, and with temperatures in the 20's, the gardens had been covered in a blanket of crystal white. While yet another blizzard warning was in effect for here on Long Island, the snow was too deep to walk out into the property without sinking knee deep. 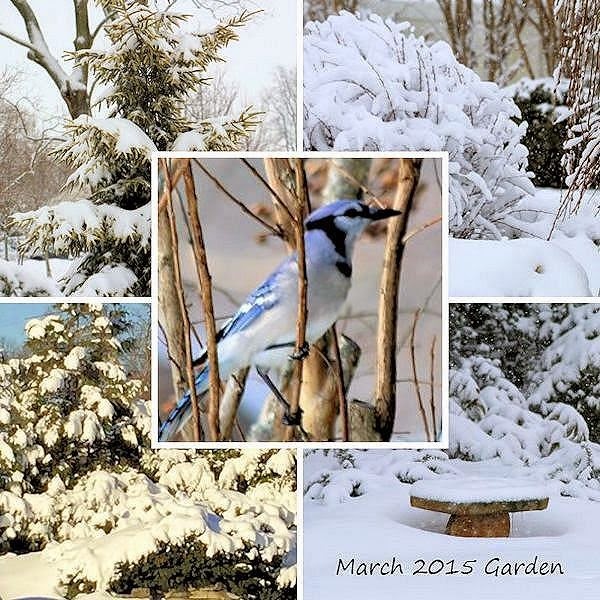 The garden was a winter wonderland, magical, with nature’s artwork. March was no ordinary month. While spring temperatures should have been right around the corner, March came in like a lion with snowfall on the first, followed by winter storm Thor on the fifth, adding another 19.7 inches of snow onto the landscape. Our winter snow accumulation had reached a grand total of 56.6 inches, enforced with record low temperatures. With snow still embracing the landscape, spring initially seemed to be so far away. March went out like a lion with snow once again on the 29th. 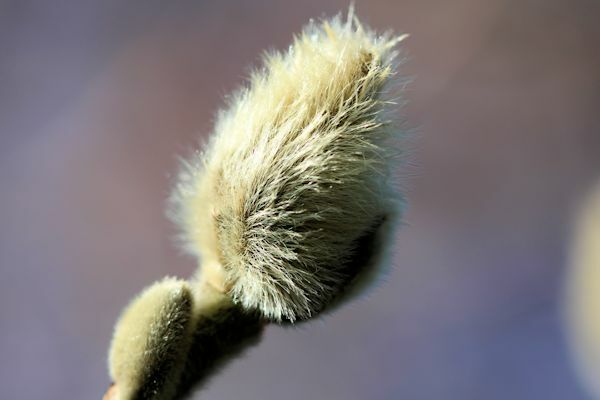 The month of April started with a layer of white blanketing the first buds and foliage. It had been the snowiest March on record for Long Island which brought a white covered landscape into spring. 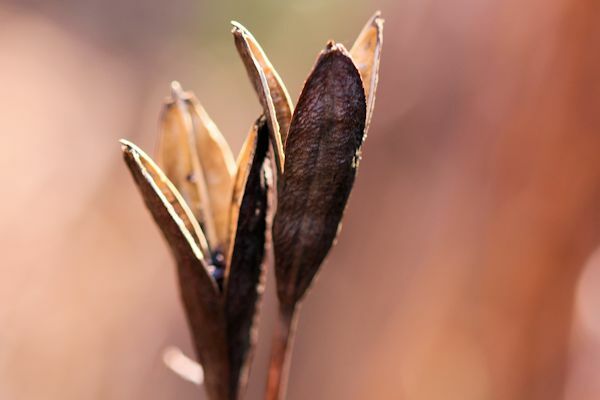 The transition from a season of dormancy to one of new life had been slow moving. 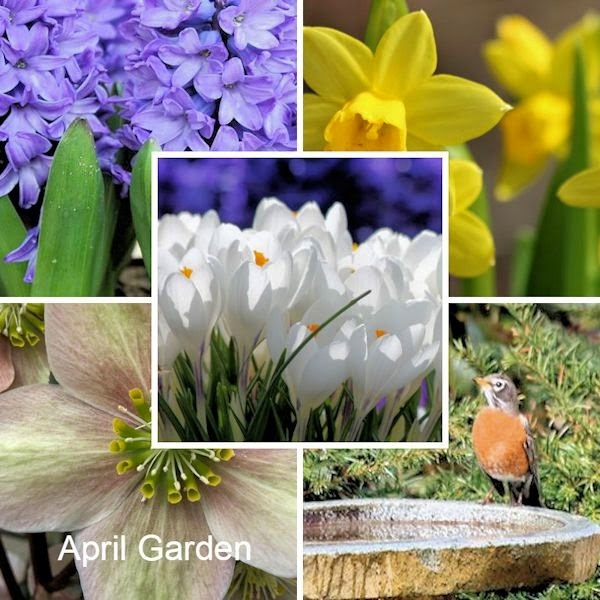 By the end of April temperatures had finally started climbing into the low 50's and memories of the past winter gradually faded from mind as crocus, daffodils and hyacinths started to emerge. The month of May arrived with a warming trend that rapidly turned into a premature summer. With temperatures rising into the 80's for a few days, an explosion of intense color suddenly made its way throughout the garden. By mid-May the warmer temperatures had settled into a regular pattern with upper 60 to mid 70 degree days. The prior burst of heat was just enough to set the garden back on track and all the blooms seemed to be arriving at once! 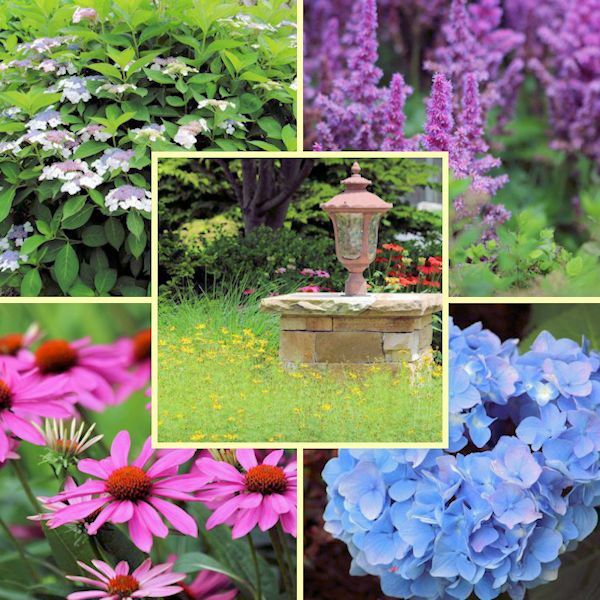 June came in with 80 degree days and an abundance of color in the garden. 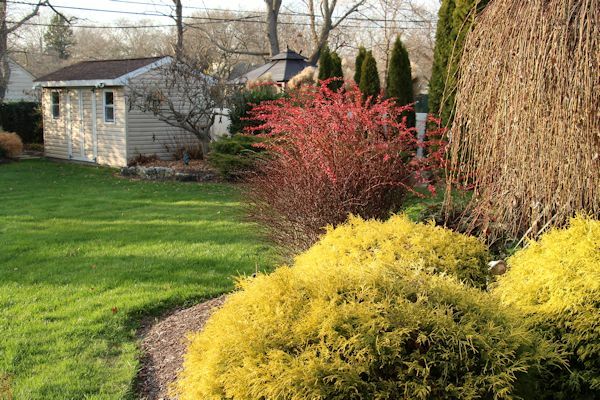 Something can be said for two record cold winters in a row and the way perennials perform. 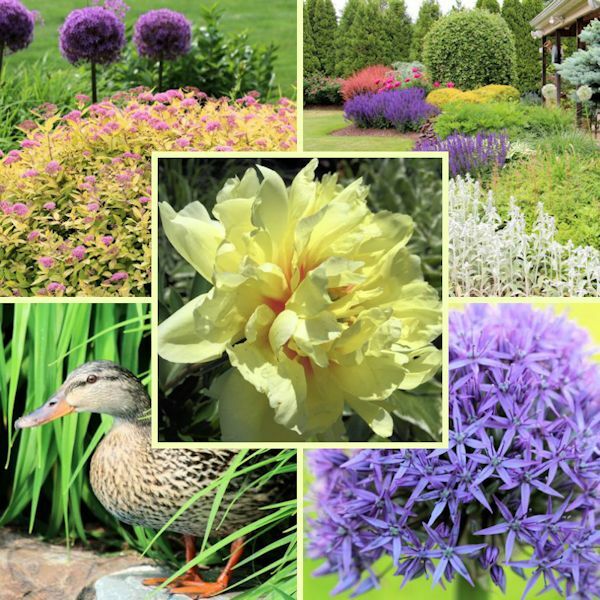 It could be my imagination but this years blooms seemed to be an intense explosion of color like I have never experienced before, especially magnified for the purple blooms of May Night Salvia and Allium. As Spirea and Peony also jumped in all was right again in the landscape and the thought of snow seemed so far away. June was certainly "busting out all over" in 2015! By the start of July temperatures were cooler than normal, ranging in the upper 70's to low 80's. 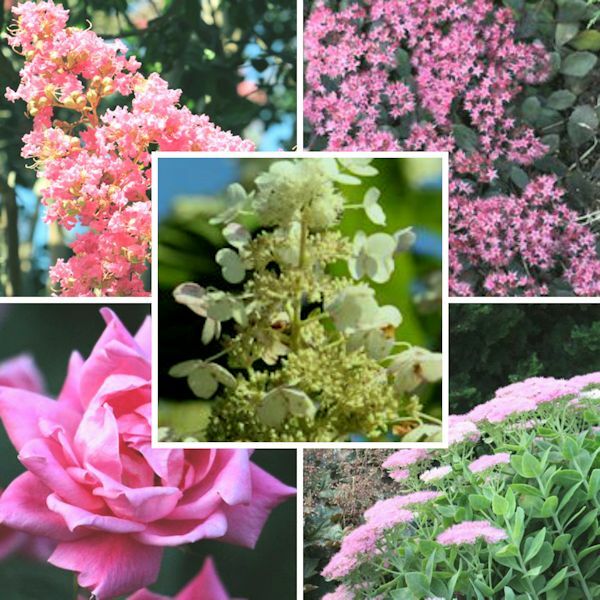 Hydrangea, Astilbe Visions and Coneflowers all kicked into bloom joining the ranks of other perennials already in bloom from the month before. The cooler temperatures were a benefit, for as the month progressed, things took a turn for the worse with record high temperatures in the 90’s and virtually no rain. 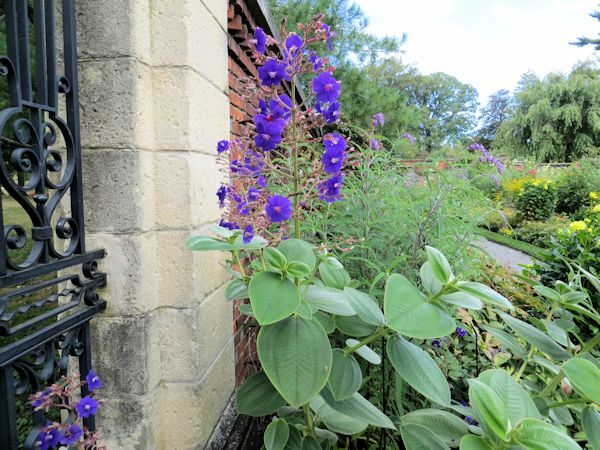 The blooms were able to hold out and by the end of July we received some very much needed rain, which helped to rejuvenate the gardens. Once August rolled around the 90 degree temperatures finally broke as severe storms moved into the area mid-month, lowering temperatures into the more normal 80 degree range. 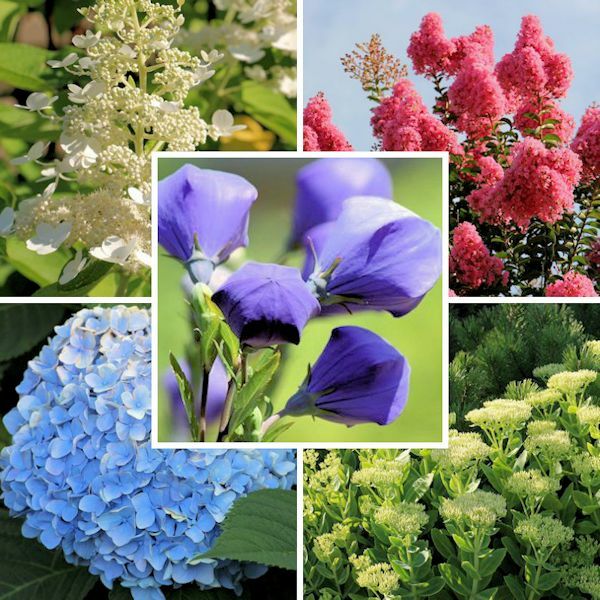 It was time for Crape Myrtles, Platycodon and Hydrangea Tardivia to flower. 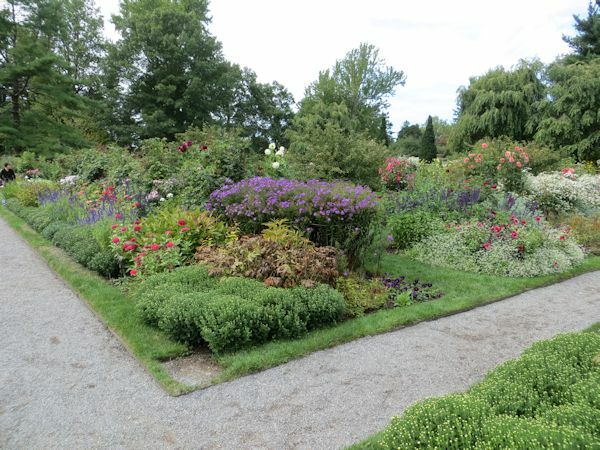 Despite the drought the gardens managed to thrive with the overall cooler than normal conditions the month before. Even with the few passing showers rejuvenating the garden the drought still continued into a warm September. The long dry spell was finally broken on the 10th with a day of torrential rain, making up slightly for the moisture that was so desperately needed. 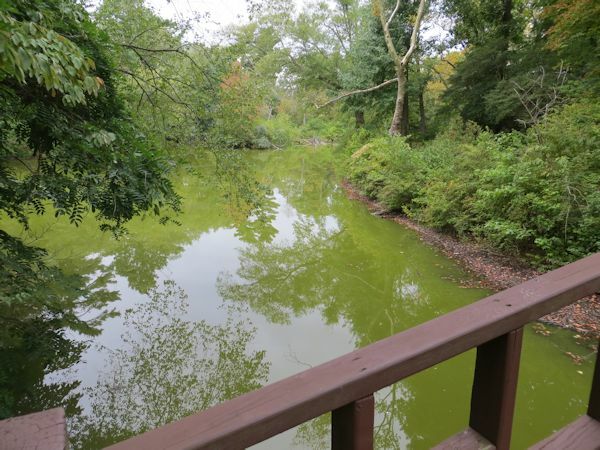 By mid-month there had been hints of autumn, signaled by late blooming Sedum and temperatures fluctuating between the 70's and 80's with cool breezes off the water...the seasons were starting to change. The start of October remained on the mild side with temperatures in the 70's as autumn was underway. With the rain replenishing the landscape all the changing colors of the garden become more and more vibrant by the day. 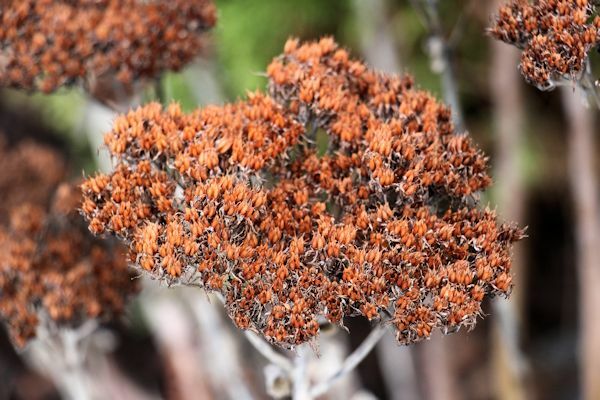 By the end of October as temperatures started to drop into the 60's, blooms from late summer held out as long as they could, as hues of orange and yellow appeared in the landscape. The combination of the two seasons, summer going out and fall coming in were spectacular. On the 20th we received our first overnight frost. The month of November brought temperatures in the mid to upper 50's, usual for the time of year. On some days there was an invigorating chill in the air and the landscape had turned into a piece of colorful artwork. The fall changing of the leaves was indeed spectacular this year with all the right conditions leading up to it. The seasons seemed to be finally following a more normal pattern. Did I just say the seasons were back on a normal track? Well, December ended up being one of the mildest on record with weekly stretches of 60 degree days, feeling more like April than the official start of winter. Winter made a guest appearance on the 19th and 20th with two blustery days in the 40's, but record warm temperatures quickly returned for the remainder of the month to bring in the new year. With a delayed winter going into record cold temperatures and a late cold spring, a cooler than normal summer (well...until the drought) and December temperatures in the 60's, I would have to describe 2015 as "the year of the unexpected". It will be interesting to see what the start of 2016 brings around. With that I bid 2015 farewell and wish all of you a very Happy 2016! It's just one week away from the official start of winter and the daytime temperatures have been mild in the mid to upper-50's, and even a few days in the 60's, after a relatively dry summer and mild fall. The garden is gradually going to sleep, as it should this time of year; however, there are many reminders of past blooms with some new blooms waiting to make their winter debut. 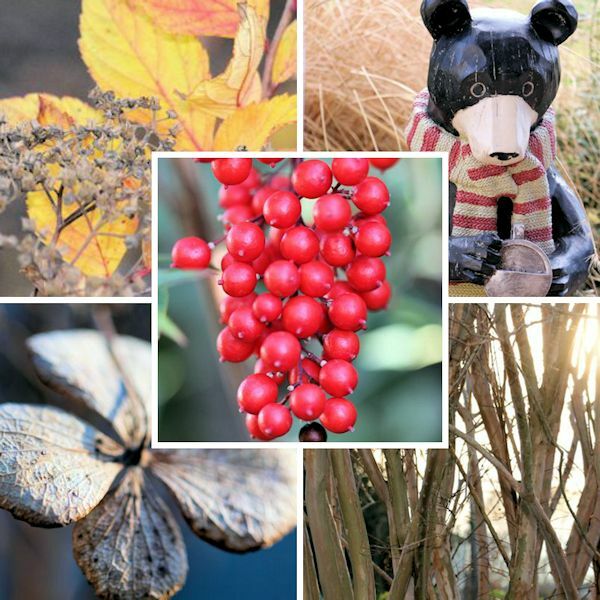 As an avid gardener I always strive to seek the inner beauty of a garden, past the blooms, for there are elements that can be even more prominent and appreciated during the winter months. 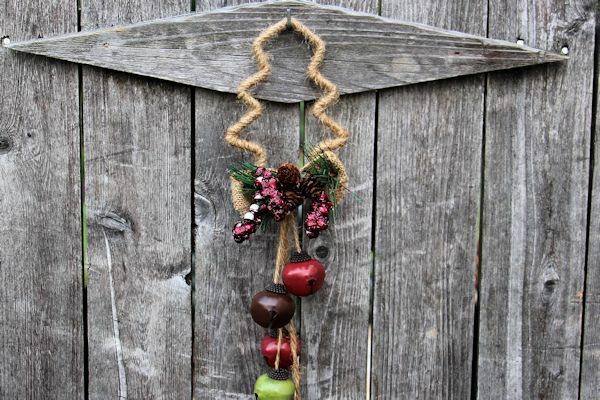 Welcome to my December garden. Come take a stroll! 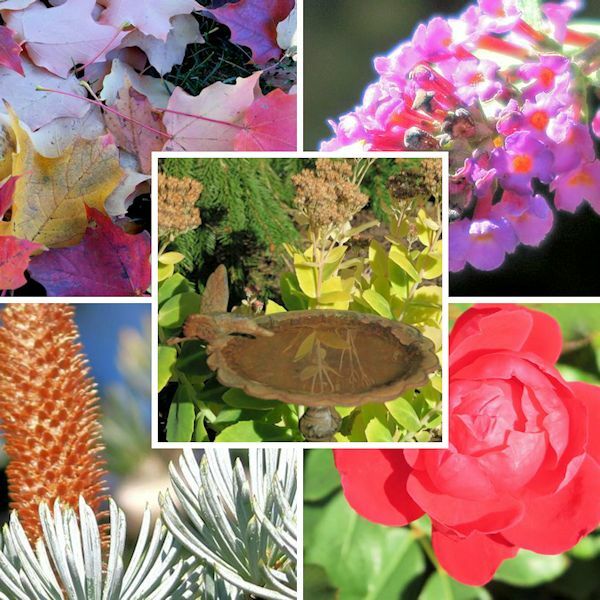 As the temperatures cool and leaves have gently fallen to the ground the garden has an inner beauty to reveal. 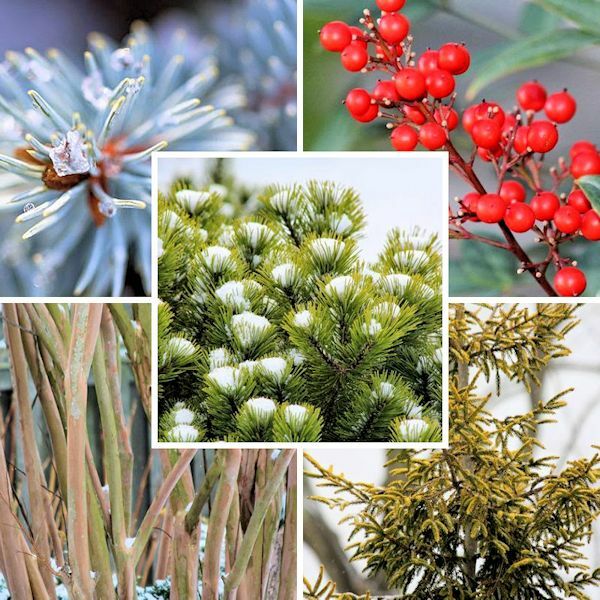 Colorful evergreens, berry producing shrubs and deciduous trees with structural aspects add interest at this time of year. 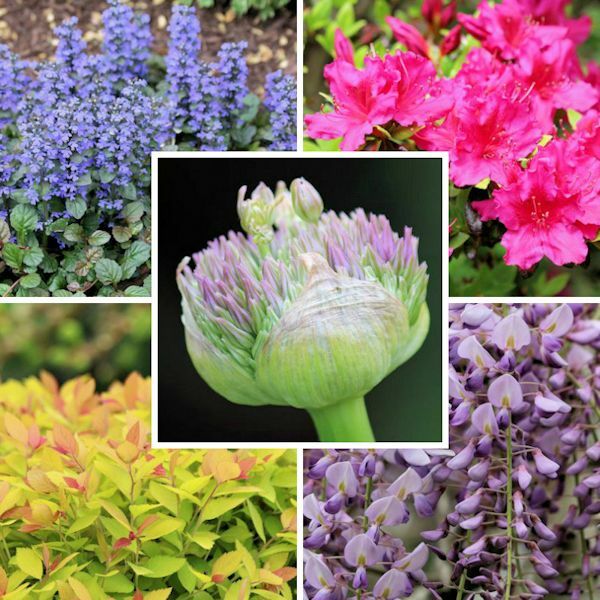 I for one have a need to enjoy my gardens throughout every season so I incorporate many of these types of plants into the master plan or grand scheme of things. 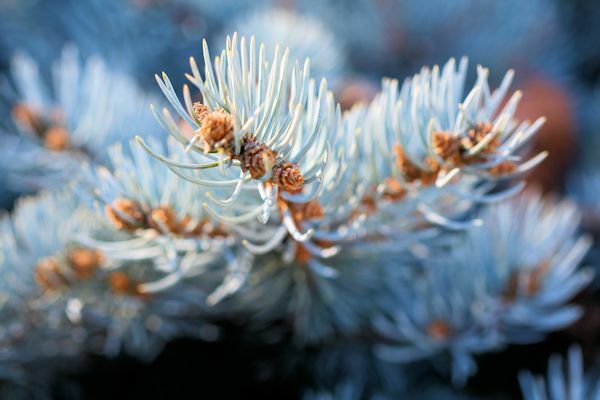 This blue spruce is a favorite for it displays its bright blue foliage throughout the entire year. 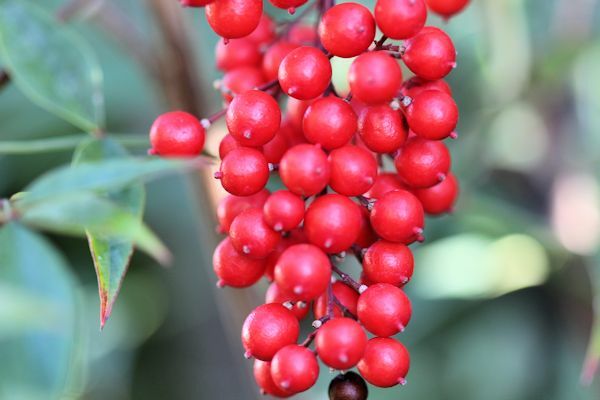 The Nandina below exhibits bamboo-looking foliage and remains evergreen with berries appearing from fall and throughout winter. I have also obtained a deeper appreciation for wild life as I get wiser in my years and now enjoy leaving some seed heads to over winter the birds. 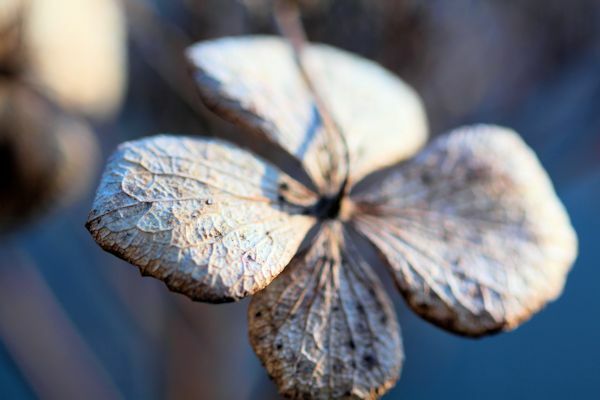 The dried blooms and seed heads also add some nice interest to the garden. 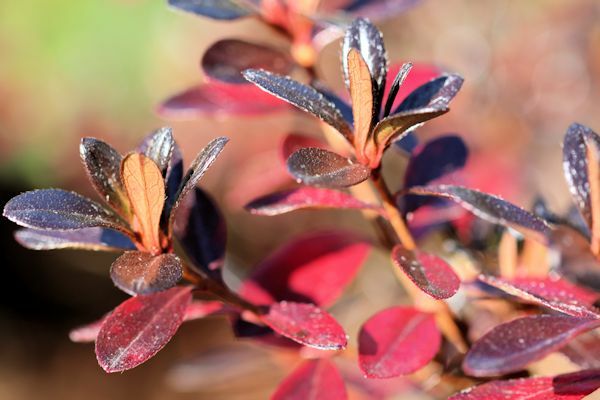 One always thinks of azalea for their colorful blooms but the foliage of these in the back informal bed turn from green to a bright pinkish red in the cooler temperatures. It provides a nice display of color when blooms are absent. 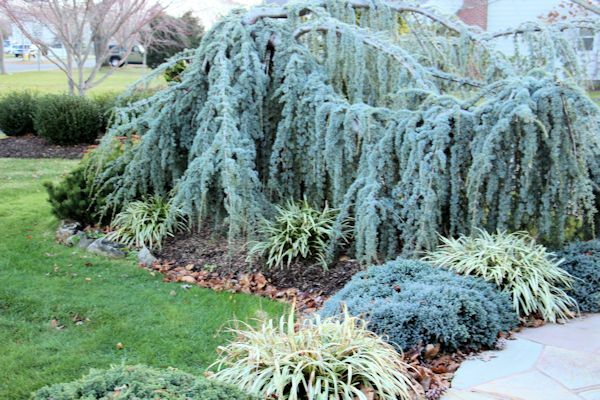 The Weeping Blue Atlas Cedar at the front driveway entrance is adding a little more blue to the scenery along with variegated liriope, mugo pine and juniper. 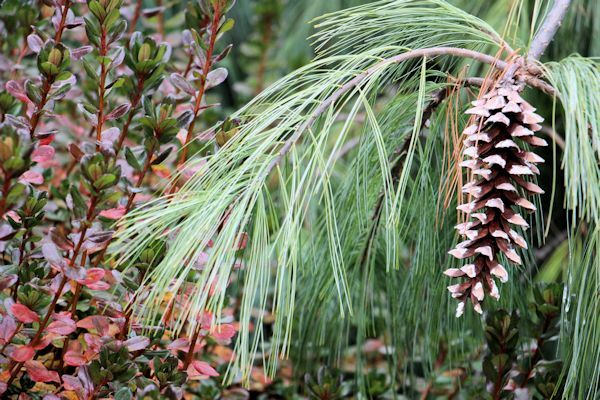 I have always had an appreciation for evergreens and get even more enjoyment from them during the winter months. 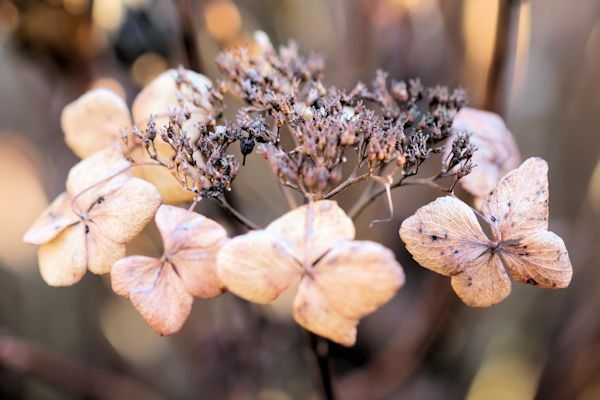 and lace cap hydrangea is showing delicate dried petals even though its flowers have faded. 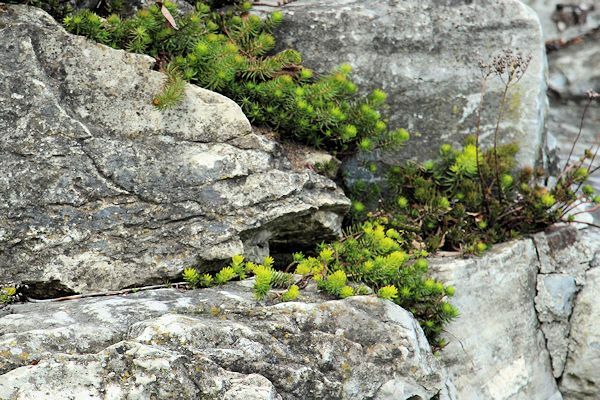 Sedum is always a pleasure in the garden. 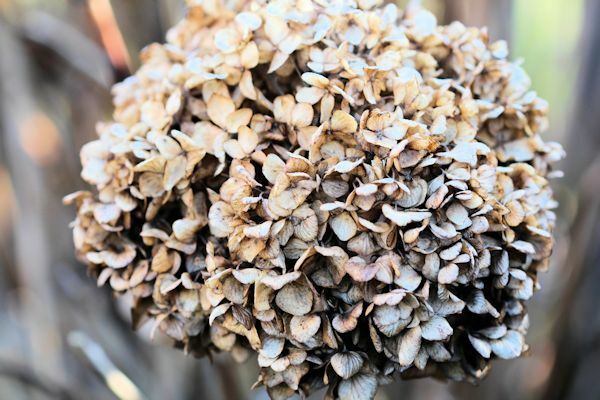 While 'Brilliant' is showing its interesting dried flower heads, 'Aurea' remains evergreen in December. and Spirea 'Lemon Princess' had sprouted new growth at the end of November. 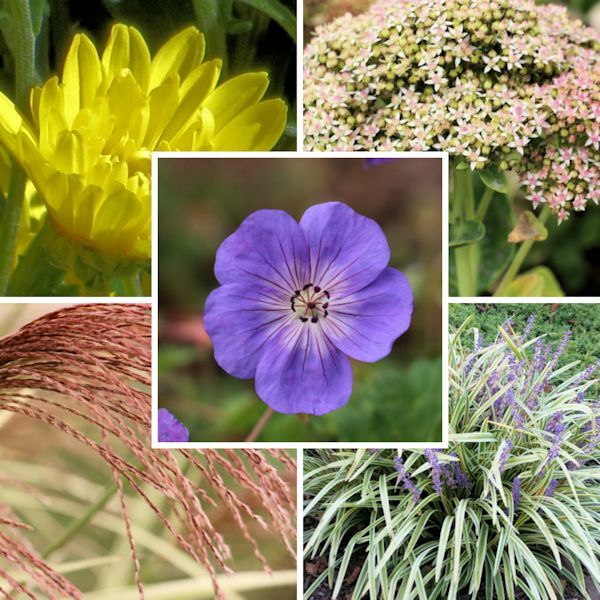 I am hoping that when the colder temperatures do arrive that it is not too suddenly, since some of the plants seem a little confused right now with the unusually mild temperatures. Forecasters are predicting an El Nino winter for the northeast with milder than usual temperatures and less snow. Could it be the opposite of last winter?...time will certainly tell. 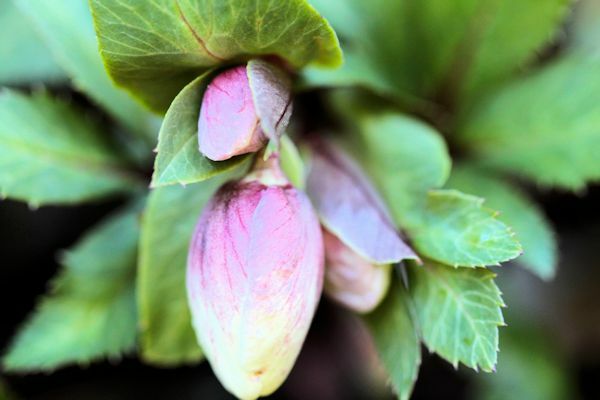 Around to the north garden...I added this Hellebore 'Shooting Star' last year in an effort to gain more winter blooms. It is developing flower buds already which are such fun to watch. The buds will burst open when everything else is dormant and add extra joy to the winter garden. 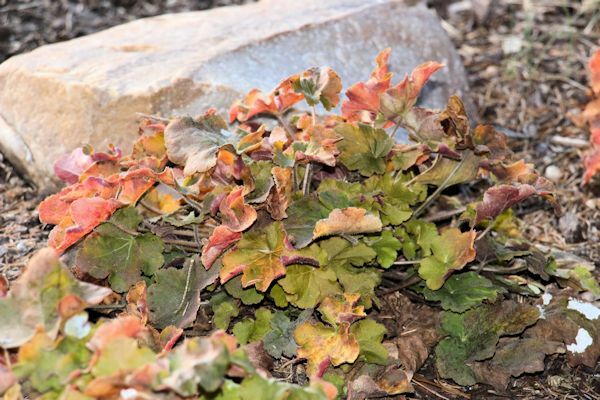 The 'Caramel' Heuchera is another favorite for it is more winter hardy and retains its caramel colored foliage while the other varieties of Heuchera usually die back in December. 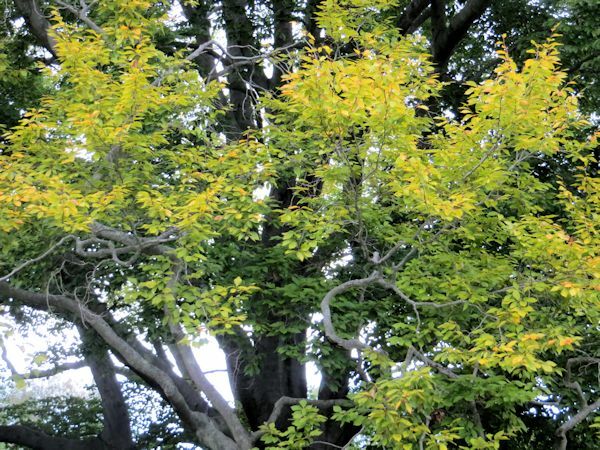 The leaves can turn a bit more bronze-like in colder temperatures but the foliage has remained in the past, even when snow has piled up on them. As the seasons change so does the lighting. 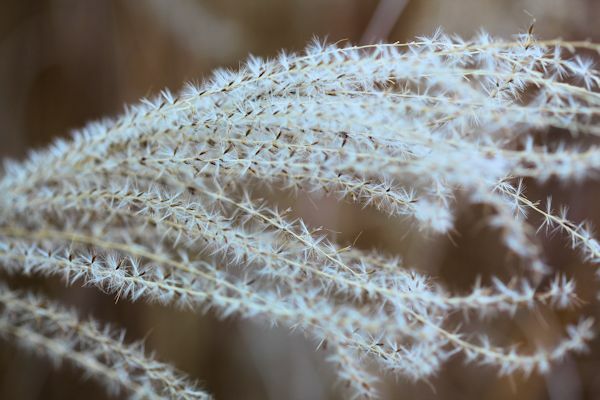 These Maiden Grasses take on a whole new light (no pun intended) in the later day and are fun to photograph as well. The plumes here remind me of an underwater scene as they all gracefully flow downward. 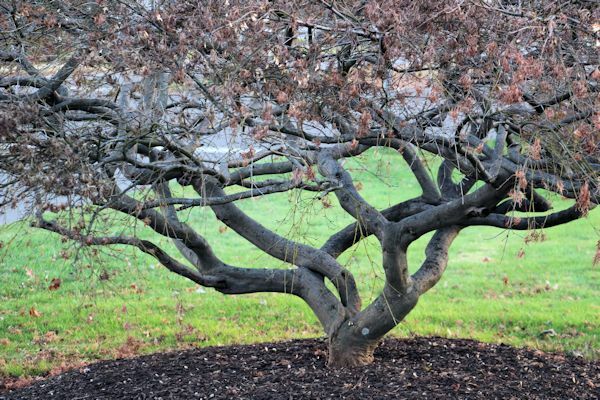 As the days get shorter the framework of the Weeping Japanese Maple in the front yard becomes more pronounced as the leaves no longer mask it and the artwork of the trunk becomes more noticeable with its twisting nature. 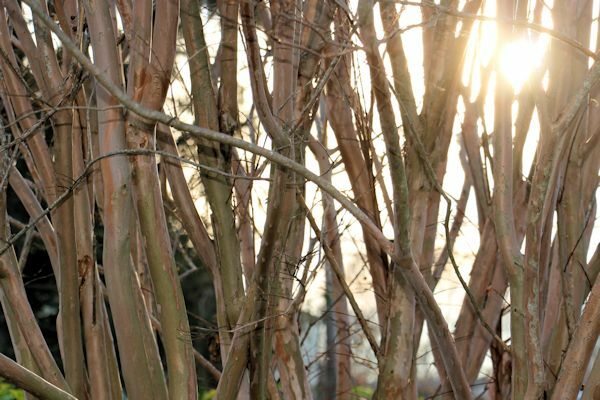 The interesting peeling bark of the Crape Myrtle takes on a new look as well as the sun slowly sets behind it and another day is done. 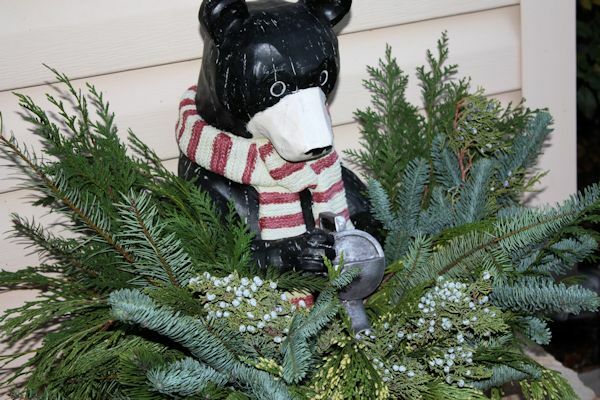 Garden Bear with Winter Greetings! 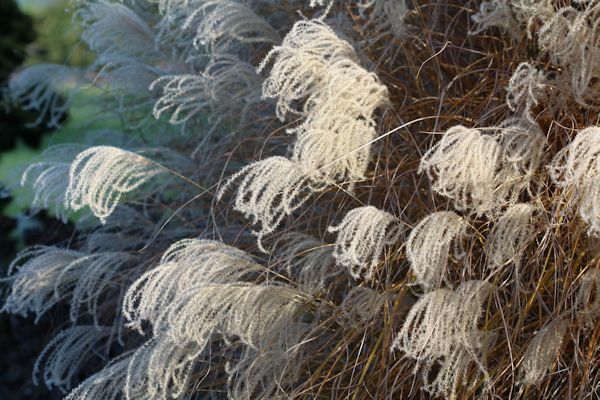 I hope you enjoyed your walk through my December garden and all its changing views. Thank you so much for visiting and if you leave a note I will know you dropped by to say hello and I will be sure to visit you as well. Also...wishing everyone peace, joy and a very happy holiday season no matter what you celebrate. 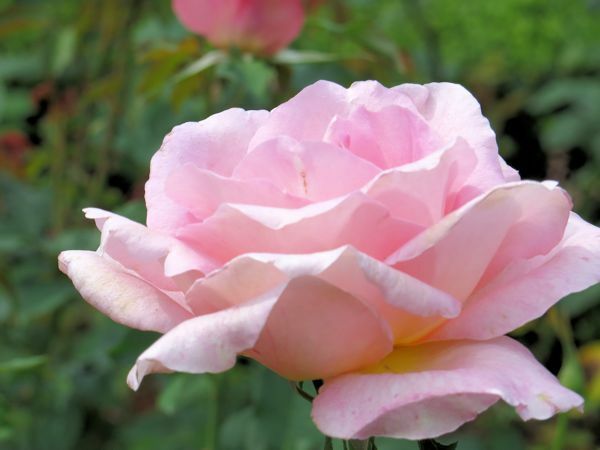 Thank you to our hostesses Carol at May Dreams Gardens, who makes it is possible to see blooms on the 15th of every month with her meme Garden Bloggers' Bloom Day and Pam at Digging for hosting Foliage Follow-Up. I am also linking with some other wonderful hosts and hostesses at Today's Flowers, Floral Fridays, Mosaic Monday at Lavender Cottage, I Heart Macro, Macro Monday 2, and Nature Notes at Rambling Woods. 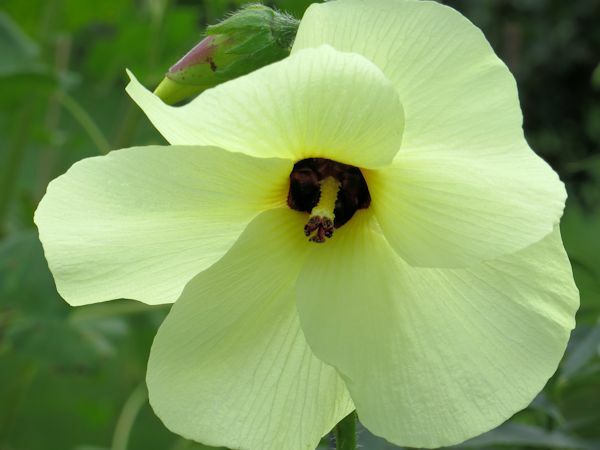 Also check out What's Blooming This Week Garden Update. 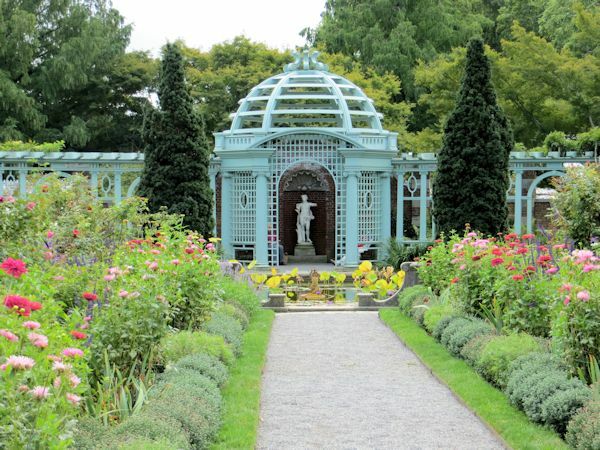 This past autumn I had the pleasure of spending a day at the beautiful Old Westbury Gardens, located in Old Westbury, on the north shore of Long Island. 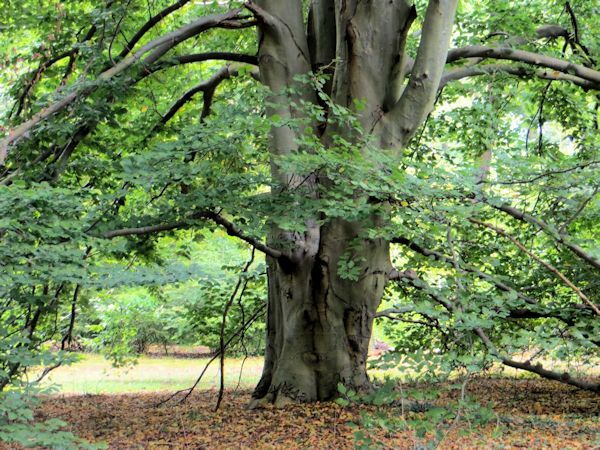 Every visit is just as amazing as the last with garden walks, individual garden rooms and natural woodland paths. 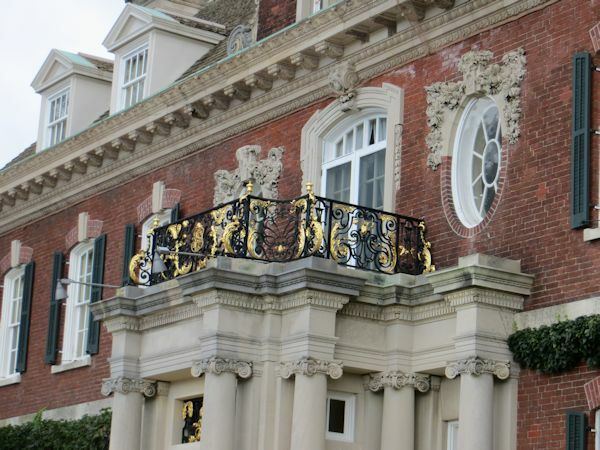 The 1900's Charles II-style mansion and former home of the Phipps family beholds a wealth of local history and is complemented by the meticulously groomed grounds it is located on. 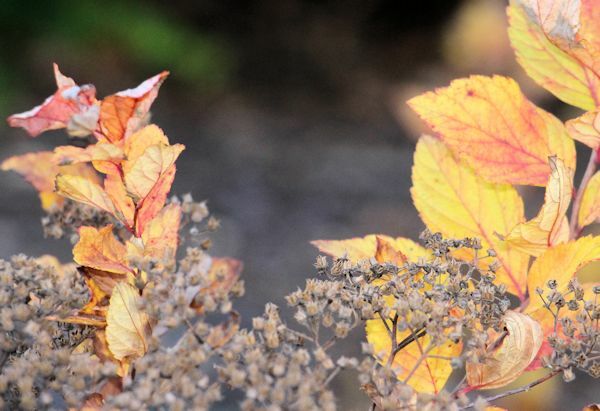 The gardens change seasonally, always supplying something new to experience and appreciate. 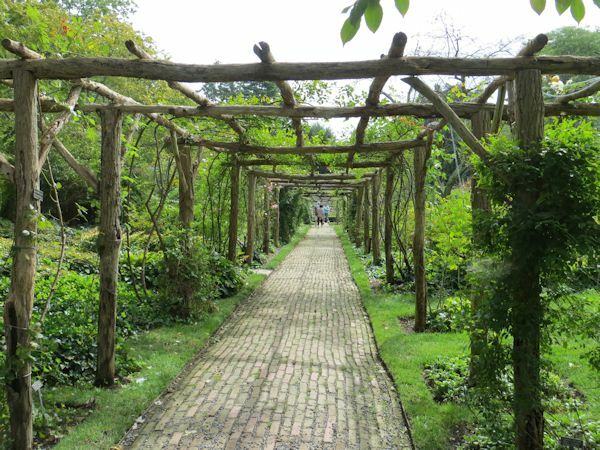 Heading towards the gardens, a brick path surrounded by a natural arbor with intertwining climbing roses and clematis leads the way to the rose garden. 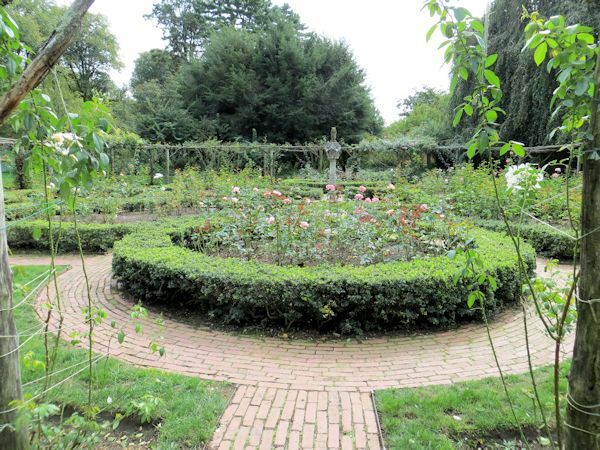 Brick pathways and Boxwood hedges surround tea roses which are still in bloom going into October. 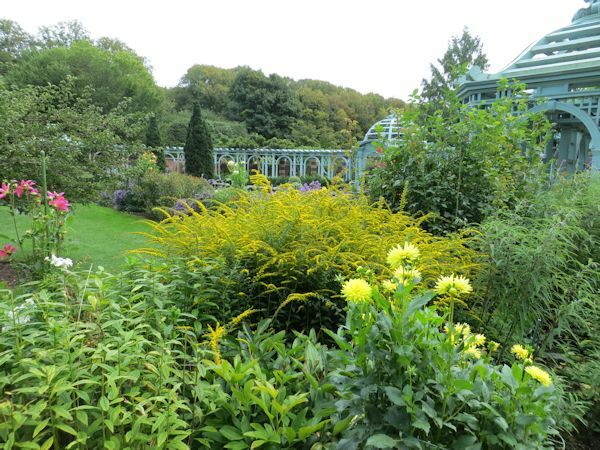 One of my favorite times of year to visit the gardens is at the end of September/beginning of October when the Dahlia garden is at its peak. 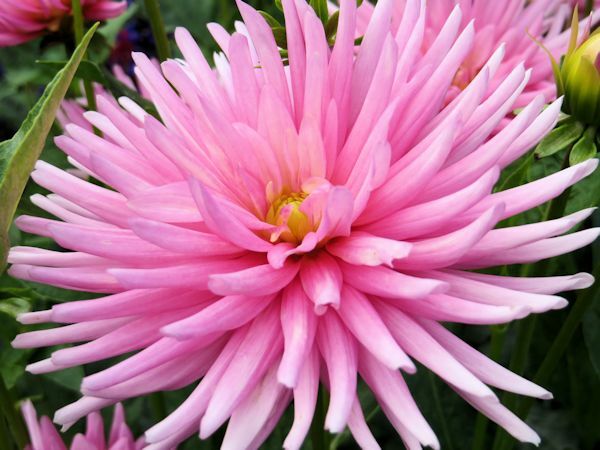 Here are a couple of the many varieties of Dahlia that are present at Old Westbury and maintained by the Dahlia Society and community volunteers. 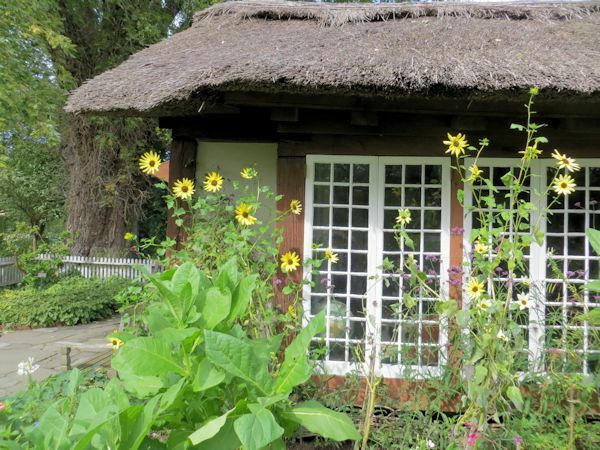 This charming Thatched Cottage was constructed for the Phipps youngest daughter as a playhouse with gardens surrounding it of many blooms. Bright yellow Helianthus angustifolius (Narrow Leaf Sunflower) can be seen at this time of year. 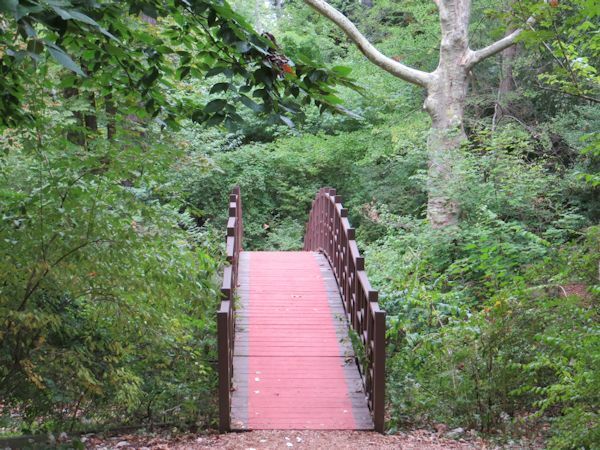 Autumn is a nice time of year to take in a view of the lake by crossing over the bridge to the other side. 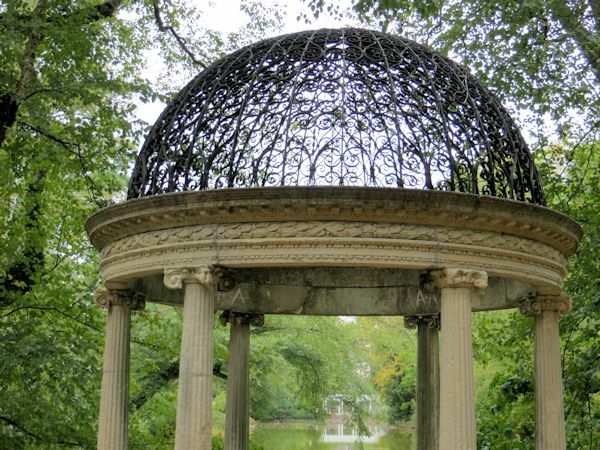 Once you get to the other side be sure to stop by the romantic Temple of Love, a marble and wrought iron gazebo overlooking the pond. If you look closely you can see the reflection of the mansion in the distance. 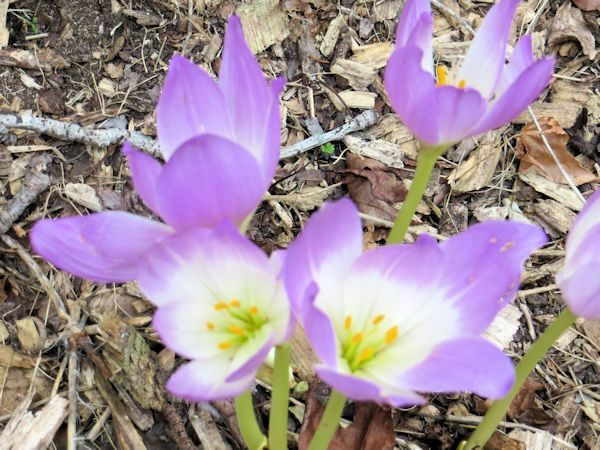 Along the woodland Lake Trail, a variety of plants can be seen including these Fall Crocus, fully in bloom for the months of September through October. 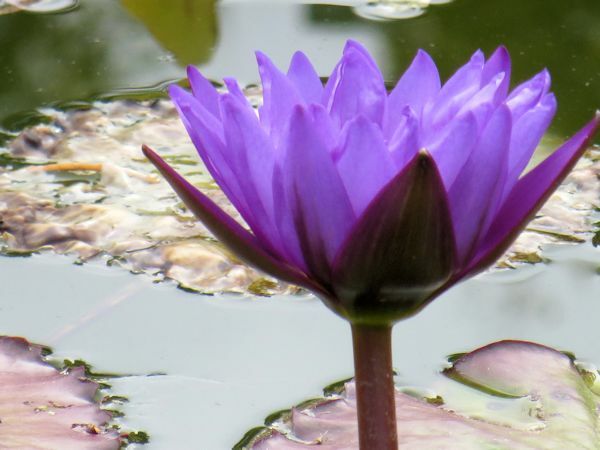 Following the path back around you will encounter the magnificent Walled Garden with wrought iron gazebos and evergreens for structure, a beautiful lotus pond and an abundance of every kind of bloom you can imagine. 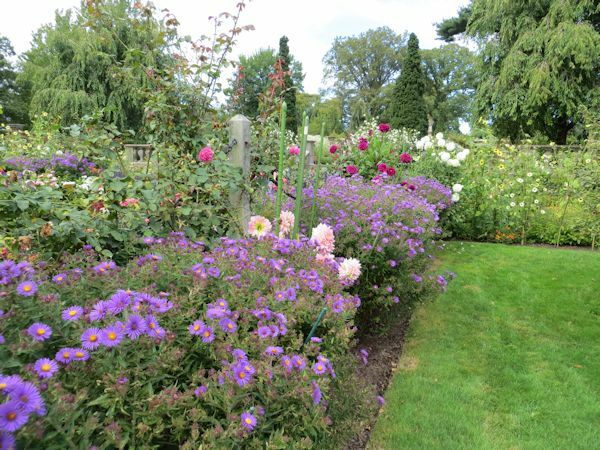 The gardens are carefully planned with a constant and ever changing sequence of color. Beauty on land and in water. 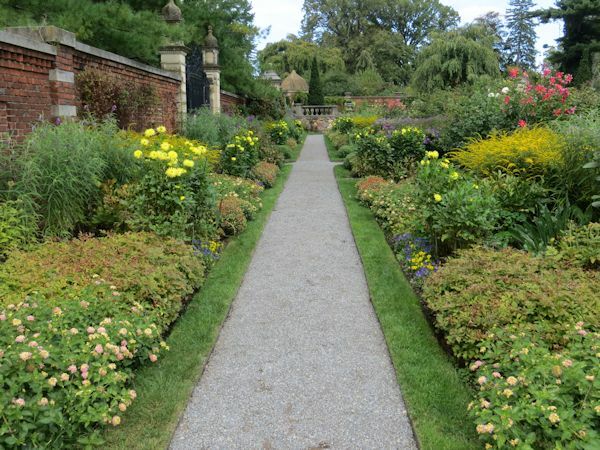 Around this bend are colorful mass plantings of Solidago, Asters, Dahlias, Chrysanthemum, Heleniums, Salvias, Snakeroot and more...true beauty highlighting the Walled Garden in autumn. This was an interesting bloom so I just had to photograph. The marker in front of it identified it as a Japanese Lily. It looks somewhat like a cross between a hibiscus and a poppy and I have not seen it anywhere before. I enjoy running across species I am not familiar with so it's always a learning experience at the gardens. 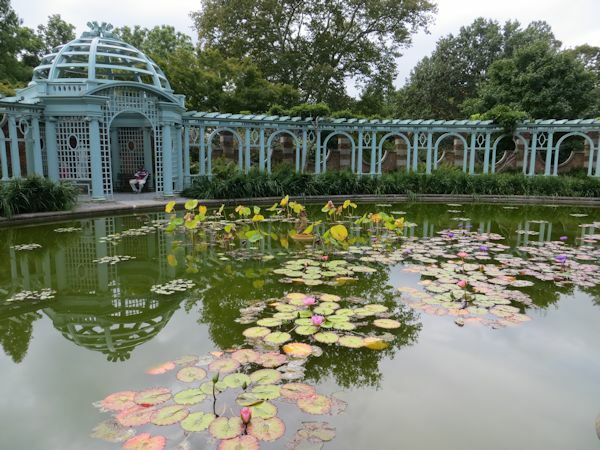 If you are looking for a relaxing day strolling through colorful gardens with a little local history thrown in, then Old Westbury Gardens could be the place for you. 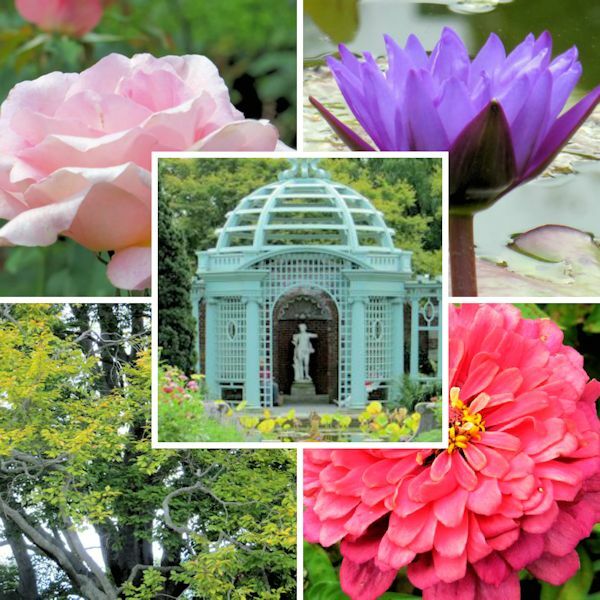 The estate has something to offer for every time of year, including gardening lectures, musical entertainment and holiday events. 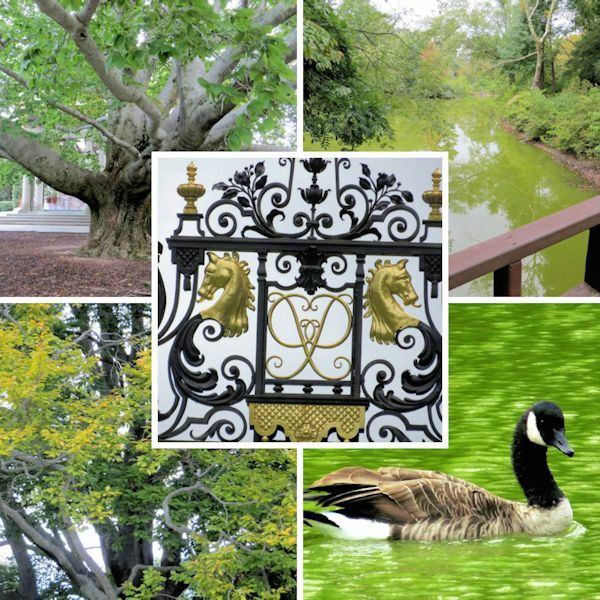 It's a bit chilly here on Long Island right now but if you check out their calendar there may be an event to experience...or just put it onto your list for next spring! I hope you enjoyed the virtual visit!